There’s something that happens whenever Sam Smith opens his mouth: something ill-informed, at best, comes out. 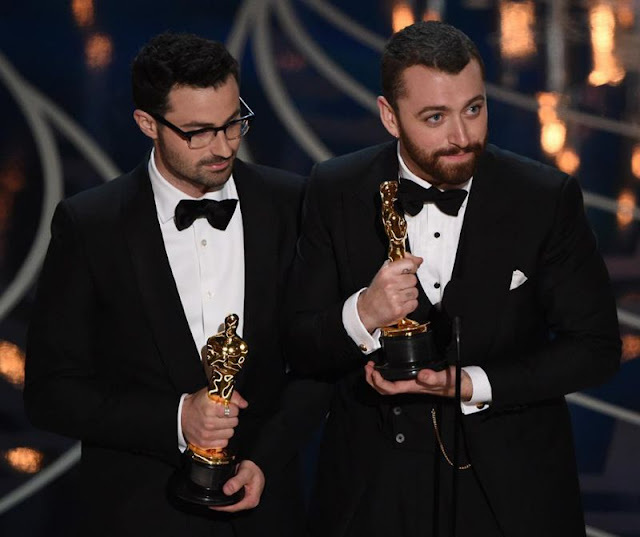 This happened once again Sunday night when, while accepting the Oscar for Best Original Song, Smith claimed to be the first openly gay person to accept an Oscar, a fact that is demonstrably not true. In his speech, Smith was citing an article by Ian McKellen which pointed that no openly gay actor had every received an Academy Award, a distinction McKellen pointed out lightly on Twitter. However, others pointed out Smith’s error a bit more pointedly. Correcting Smith, Dustin Lance Black, who won an Oscar for Best Original Screenplay in 2009, also asked Smith to stop texting his fiancé, Olympic diver Tom Daley.